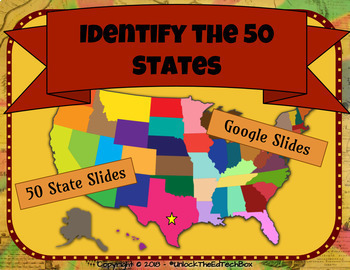 Have fun with your students while they use this Interactive Identify the 50 States Activity! If you prefer, you can download the printable version, print it, and laminate it for students to use in centers, groups, or individualized learning. 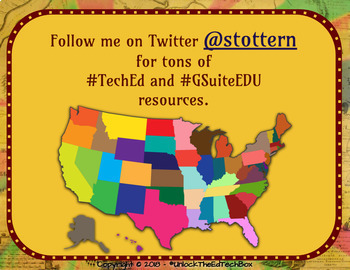 Interactive Moveable Digital Google Slide of 3 sections of the United States. 3 sections in a printable. Answers are not included at this time with this set and the price reflects this. The Google Slide can also be downloaded as a PowerPoint and used in the same manner. This is a great iPad/Tablet Center Activity as well. Your students will learn and have fun at the same time as they work with this activity. 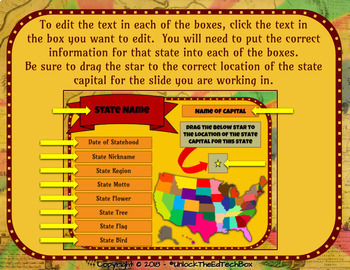 This project can also be used as a center activity with an iPad or as a Formative Assessment.